Earlier today, in an interview with an Italian newspaper, Robert De Niro confirmed that he will be playing Enzo Ferrari in a high-budget biopic that is set to debut in 2016. “For me it is an honor and a joy to tell the life of an extraordinary man who revolutionized the automotive world and across historical periods,” said De Niro. This, of course, will not be the first time that De Niro has appeared in a biographical film. In 1980, De Niro won an Oscar for his PHENOMENAL portrayal of Jake La Motta in the all-time classic Raging Bull (possibly the greatest boxing movie ever… that is if you’re not counting Rocky). For an aging actor like De Niro (he’s 71!! ), this will be a huge opportunity for him to flex his acting chops. Realistically, De Niro hasn’t headlined a truly successful movie since probably 2004 when he starred in Meet the Fockers. Since then, he’s had some successful supporting roles (Silver Linings Playbook, Machete), but his starring movies have bombed across the board (Grudge Match anyone??). As far as the new Ferrari flick goes, it will certainly be interesting to see what happens with the script and storyline. 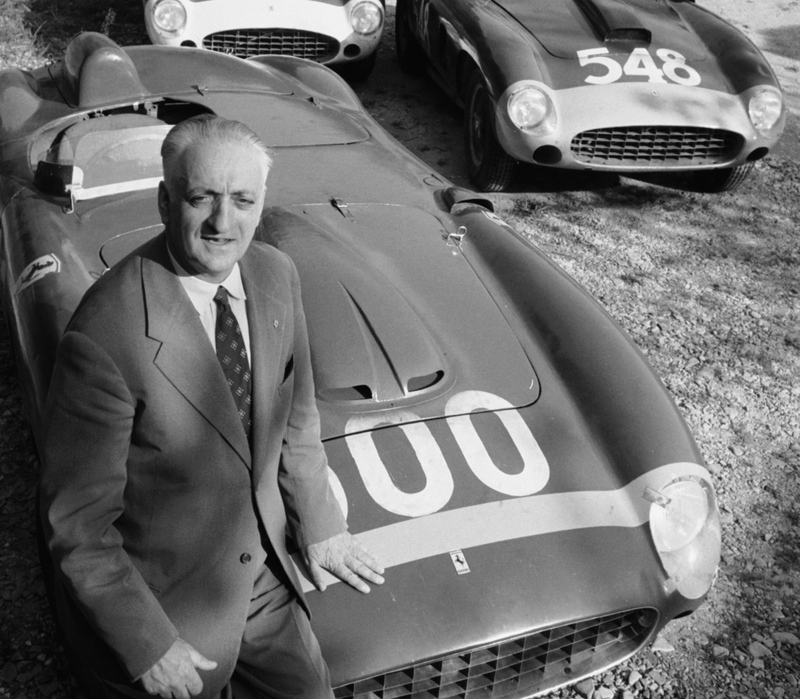 Enzo was infamous for living a rather low-profile life, but producer Gianni Bozzacchi isn’t worried. What would really put this film over the top, however, is the possibility of Clint Eastwood directing. Sources say that he has been approached about the project and that he is very interested; however, nothing has been set in stone. So, what do you think? Would you be excited to see this movie and see Robert De Niro take on the role of the iconic racing legend??? This entry was posted in Uncategorized and tagged De Niro, enzo ferrari, ferrari, Jake La Motta, Robert De Niro. Bookmark the permalink.